See fanciful flowers, celebrate Hispanic heritage, Women’s History Month, the arts in Delaware, and more. Robin Bloom shares her picks for what to check out this week. 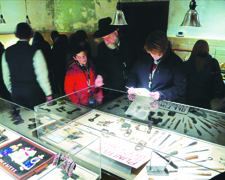 Get a glimpse into the inmate experience at Eastern State Penitentiary with the 4th annual Pop-Up Museum, March 3-13. 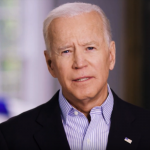 Titled “Sports and Leisure,” the exhibit offers rarely seen artifacts that were unable to be displayed previously due to the lack of museum-quality climate control inside the historic prison. For 11 days only, see sports paraphernalia, including a photograph of former Philadelphia baseball manager Connie Mack with Warden Cornelius Burke, as well as objects depicting recreational activities – inmate-made crafts, paintings, confiscated shanks and other weapons. Also, a short movie of sports at Eastern State Penitentiary filmed in 1929, courtesy of the University of South Carolina’s Moving Image Research Collections, never before been shown at the historic site, 22nd and Fairmount Avenue, Philadelphia. Included with museum admission. While there, take the “Voices of Eastern State” Audio Tour, narrated by actor Steve Buscemi. Photo courtesy of Eastern State Penitentiary. The world renowned Dance Theatre of Harlem glides onstage at Annenberg Center Live for four performances, March 3-5, as part of the African Roots, American Voices series. 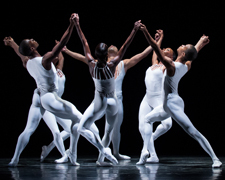 The iconic company, founded in 1969 by African American dancer Arthur Mitchell, presents cutting-edge new works and favorite masterpieces including “Vessels,” 2014, focused on a cyclic journey, choreographed by Darrell Grand Moultrie with four movements. “In the Mirror of Her Mind,” 2013, choreographed by Christopher Huggins is set to selections from Symphony No. 3 by Henryk Górecki. “Dancing on the Front Porch of Heaven: Odes to Love and Loss,” 1993, by Ulysses Dove is set to Estonian composer Arvo Pärt’s Cantus in Memory of Benjamin Britten, and “Return,” choreographed by Philadelphia native Robert Garland, features the music of James Brown, Alfred Ellis, Aretha Franklin and Carolyn Franklin for Dance Theatre of Harlem’s 30th anniversary, Zellerbach Theatre, 3680 Walnut Street, Philadelphia. Photo by Rachel Neville. The 10th annual Philly Craft Beer Festival returns to the Navy Yard, Saturday, March 5, considered one of the top beer festivals in America and featuring over 75 brewers and more than 100 beers, plus food trucks, live entertainment and more, rain or shine, 4747 South Broad Street, Philadelphia. VIP session from 12:30pm-5pm is sold out but there are still tickets for the general admission session from 1:30pm-5pm. 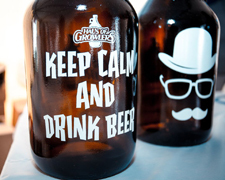 Photo courtesy of Philly Craft Beer Festival. 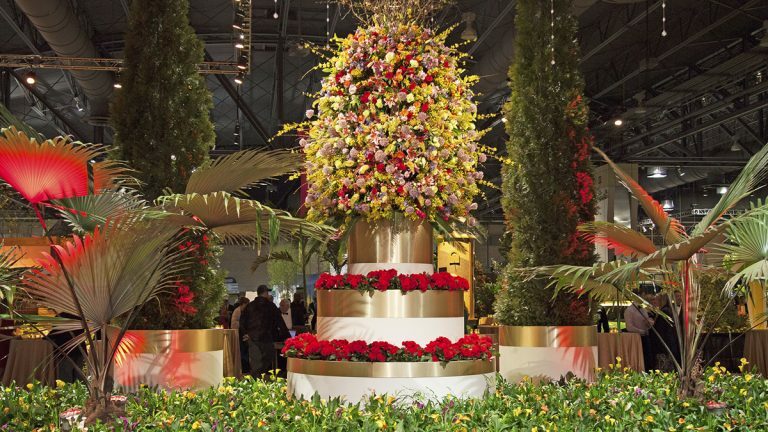 The world-renowned Philadelphia Flower Show, produced by the Pennsylvania Horticultural Society, makes its way back to the Pennsylvania Convention Center, March 5-13. 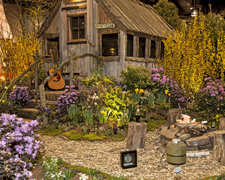 The oldest and largest horticultural event in the nation promises to “wow” audiences as it has since it began in 1829 with the theme, “Explore America,” as internationally renowned floral and garden designers use our national parks as inspiration for their exhibits. Take in 10 acres of garden displays, trails, exhibits, presentations, demonstrations, competitions, marketplace, and attractions including “Find Your Park Pavilion,” “Butterflies Live!,” “Base Camp,” and the new Railway Garden, featuring a vast display of model locomotives and rail cars. Special events include “Cabin Fever Country Hoedown,” “Fido Friday,” and more, 12th & Arch Streets, Philadelphia. A Black tie preview party is Friday, March 4. Photo courtesy of the Philadelphia Flower Show. 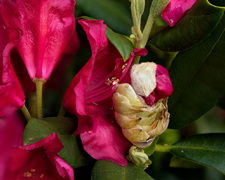 Saint Joseph’s University Gallery urges viewers to see the everyday world in a new light with Closer and Longer: Recent Images of Intimacy in the Garden by photographer Dennis Weeks. The exhibit focuses on ordinary objects that are typically overlooked, with images created by combining 12 to 50 images, each with its unique point of focus, into a seamless single high resolution image, through March 23, Merion Hall, Maguire Campus, 355 N. Latches Lane, Merion Station, PA. Pictured: Bursting Red, 2015. EgoPo Classic Theater continues its American Giants II Festival, focusing on influential female playwrights with Clare Booth Luce’s comic masterpiece The Women. Luce was the first American woman appointed to a major ambassadorial post abroad and was also a Broadway playwright, war journalist, congresswoman, and Presidential Medal of Freedom recipient. 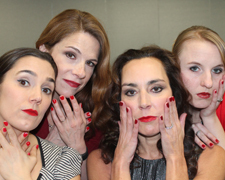 Her best known play features an all-female cast an parodies society’s expectation of women. Lane Savadove directs a cast of 19, featuring veteran Philadelphia actors Melanie Julian, Mary Lee Bednarek and Barrymore Award-winning Genevieve Perrier paired with rising student performers from Rowan University’s School of Performing Arts, who co-produce the show, March 3-20, at the Latvian Society, 531 N. 7th Street, Philadelphia. Photo by Lane Savadove. 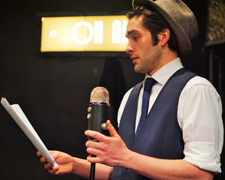 After 55 years, Society Hill Playhouse is closing its doors and will host one final production March 4-5 with the world premiere of Liberty City Radio Theatre. Directed and produced by Bill Arrowood, the last curtain call features an ensemble cast in a “new time old style” original, new radio show – filled with noir, romance, and comedy – modeled after old time radio with actors on stage, complete with on stage sound effects and live music. Presented in conjunction with South Street Headhouse District. Society Hill Playhouse is located at 507 S. 8th Street, Philadelphia. Photo courtesy of Society Hill Playhouse. 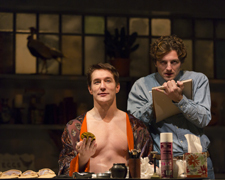 Onstage at Delaware Theatre Company is David Rush’s Nureyev’s Eyes, a co-production with and direct from the George Street Playhouse, through March 20. The fictional account of the real interaction between two great artists – Rudolf Nureyev, the Russian defector and star of ballet and screen, and Jamie Wyeth, son of famed artist Andrew Wyeth and grandson of illustrator N.C. Wyeth – stars Bill Dawes and William Connell and is directed by Michael Mastro, Resident Artistic Director of George Street Playhouse and previous Associate Artistic Director of Delaware Theatre Company, 200 Water Street, Wilmington, DE. Wyeth produced hundreds of paintings and drawings of Nureyev during the time of their friendship that began in 1977. Photo by T. Charles Erickson. 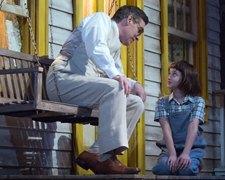 University of Delaware’s Resident Ensemble Players presents To Kill a Mockingbird, an adaptation by Christopher Sergel based on the classic book by Harper Lee. Directed by Sanford Robbins, Producing Artistic Director of Delaware REP, the production is onstage through March 20 with free pre-show presentations and post-show talkbacks with cast members, a discussion with Ty Jones, producing artistic director of the Classical Theatre of Harlem, and a discussion with John Ernest, scholar in 19th century African American literature, Roselle Center for the Arts, 110 Orchard Road, Newark, Delaware. Onsite parking available. Photo by Nadine Howatt. 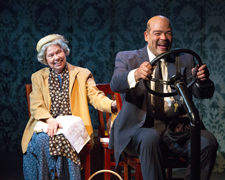 Onstage at Act II Playhouse is Driving Miss Daisy through March 26. Alfred Uhry’s Pulitzer Prize-winning, unforgettable play about the relationship between a Jewish widow and her African American chauffeur in the old Deep South premiered Off-Broadway in 1987 and was then was adapted into a film that won the Academy Award for Best Picture in 1990. Directed by James J. Christy and starring Carla Belver, Brian Anthony Wilson, and Act II’s Artistic Director Tony Braithwaite, 56 E. Butler Avenue, Ambler, PA. Photo by Bill D’Agostino. Pennsylvania Ballet’s Artistic Director Angel Corella takes you back to his hometown in Spain for his own nostalgic adaptation of Marius Petipa’s Don Quixote, March 3-13 at the Academy of Music. 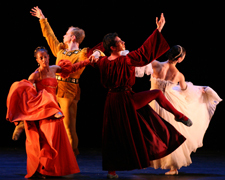 Intricate choreography filled with Spanish flair – authentic costumes, fans, and castanets – brings the classic comedy by Spanish novelist Miguel de Cervantes to life, set to a score by Ludwig Minkus, performed live by the Pennsylvania Ballet Orchestra. Featuring Charles Askegard as Don Quixote and Matthew Neenan as Gamache, Broad Street, Philadelphia. Catch a Prelude – pre-show discussions with company members, artistic staff and visiting artists prior to most performances (free for ticket-holders). Photo by Alexander Iziliaev. The Smithsonian American Art Museum’s traveling exhibition Our America: The Latino Presence in American Art stops at the Delaware Art Museum and focuses on the rich and varied contributions of Latino artists in the United States since the mid-20th century, when the concept of a collective Latino identity began to emerge. Drawn entirely from the Smithsonian’s large growing collection of modern and contemporary Latino art, the exhibit features 92 works in all media by 72 leading modern and contemporary artists, reflecting the diversity of Latino communities in the U.S. 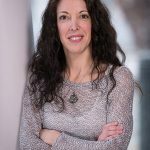 Organized by E. Carmen Ramos, curator of Latino art at the Smithsonian American Art Museum. Bilingual guides and wall labels available to visitors. The exhibit opens with a members-only preview event, Friday, March 4, 6pm-8pm. Related programs and events include Second Sunday Studios, Latin Dance Series, film screenings, Hispanic Heritage Fiesta, Noche de Carnaval, and more, through May 29, 2301 Kentmere Parkway, Wilmington, DE. 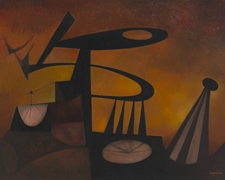 Pictured: Un Lugar Distante (A Distant Place), 1972, Rafael Soriano (1920–2015), Oil on canvas, 29 3/4 x 39 5/8 inches, Smithsonian American Art Museum, Gift of Milagros Soriano, © 1972, Rafael Soriano. 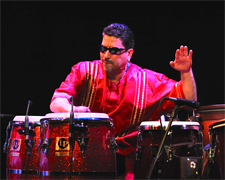 Master percussionist Pablo Batista previews excerpts from his forthcoming project El Viaje (The Journey) as part of the PECO Free First Sunday program at the Barnes Foundation, Sunday, March 6, 2:30pm. El Viaje is an extended work in music and dance that tells the story of forced emigration from Africa to the Americas, combining sacred Afro-Caribbean bata drumming and chant with elements from European classical music, jazz and blues, R & B, funk and salsa, reflecting Batista’s 30 years of touring, recording and performing on Grammy-winning releases in jazz, rhythm and blues and gospel. On a personal level, the performance piece portrays the struggles his family and he endured as emigres from Puerto Rico to the steel mill town of Bethlehem PA in the early 1960s. Batista will be joined by co-composer and percussionist Victor Pablo, the Journey String Quartet, and percussionists Christian Noguera and Andreas Cisneros, who provide brief introductions to the three excerpts of El Viaje, The Barnes Foundation, 2025 Benjamin Franklin Parkway, Philadelphia. This performance is free and open to the public. Tickets are limited, cannot be reserved in advance, and are available on site starting at 9am. The First Free Sunday program also includes a One Book, One Philadelphia discussion about Charles Frazier’s Cold Mountain, art activities, and student-led exhibition tours. 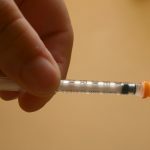 The project is supported by the PEW Center for Arts & Heritage. Photo by Bruce Turner. Known worldwide for dramatic expression, technical mastery and humanistic approaches, the Limón Dance Company stops in Philadelphia on its 70th anniversary tour with three of Mexican-American founder/choreographer José Limón’s most notable works, March 9-13 as part of the NextMove series at the Prince Theater, 1412 Chestnut Street. Program includes “Mazurkas” (1958), a World War II tribute set to the music of Chopin, “The Winged” (1966), celebrating real, imaginary and mythical feathered friends, and “The Moor’s Pavane” (1949), said to be Limón’s most enduring work (a response to Shakespeare’s Othello), and performed by companies worldwide including by Rudolf Nureyev in the 1970s. Related programs and events include a student discovery performance and a free master class on March 11 and two post performance chats for ticket holders after select performances. Presented by Dance Affiliates. Photo courtesy of Limón Dance Company. One of the oldest choir organizations in the country, Mendelssohn Club, presents Eastern Voices, choral music from Eastern Europe, a selection of a cappella works by composers from Poland, Lithuania, Latvia, Estonia, and Finland, culminating with Hungarian composer Zoltán Kodály’s Missa Brevis with organist virtuoso Michael Stairs. Also part of the program is a tribute to outgoing maestro Alan Harler with two of four “Alleluias for Alan,” world premiere compositions by prominent Philadelphia composers and Harler’s long-time collaborators Andrea Clearfield and Jennifer Higdon, honoring his 27 years of musical leadership. New Artistic Director and Principal Conductor Paul Rardin leads the 120 voice ensemble, Saturday, March 5, 7:30pm, Temple Performing Arts Center, Broad Street and Polett Walk, Philadelphia. Arrive an hour early for the new MendelSounds, informal discussion about the program with live musical demonstrations by members of the choir. 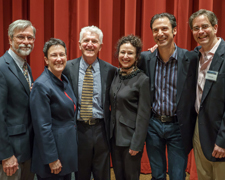 Pictured: Composer James Primosch, composer Jennifer Higdon, Alan Harler, composer Andrea Clearfield, composer Robert Maggio, and Paul Rardin. Photo by Sharon Torello. 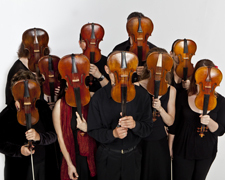 Philadelphia Baroque Orchestra Tempesta di Mare explores the distinctive musical flavors from numerous countries with The Nations, orchestral portraits of the peoples of Europe, Saturday, March 5, 8pm, American Philosophical Society, 427 Chestnut Street, Philadelphia and Sunday, March 6, 4pm, Presbyterian Church of Chestnut Hill, 8855 Germantown Avenue, Chestnut Hill. Built around Georg Phillipp Telemann’s Folk Suite (Russia, Portugal, Turkey), the program includes Zelenka Orchestral Suite in F, ZWV 188 (Silesia), Roman Music for Drottninghom Palace (Sweden), Locke music for The Tempest (British Isles), and Barsanti Overture Op 4 no. 2 (Scotland). Photo courtesy of Tempesta di Mare. For Women’s History Month, Mt. Airy Art Garage (MAAG), a creative center for emerging and professional artists, presents No Longer Anonymous, a series of exhibitions, panel discussions, writing circles, and a live concert in partnership with the Philadelphia FolkSong Society. 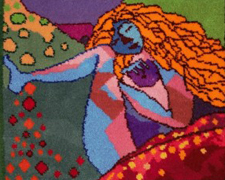 This exhibition, which launches a series of March events, highlights the work of leading fiber artists including Sara Allen, Natalie Alleyne, Michelle Brown, Magdalena Elias (pictured), Cynthia D. Friedman, Toni Nash, Kathy Robinson, Karoline Wallace, and Carol Wisker, March 4 – May 1 with an opening reception on Friday, March 4 at 6pm. Free and open to the public. Related events include an International Women’s Day panel “It’s Not Over Yet! Women Artists Fighting For Our Rights,” March 6, 3pm and “Women Who Love Women Who Make Music,” concert on March 12, 7pm.